What is a pentagon? How many sides does a pentagon have? How to solve a regular pentagon using this pentagon calculator? 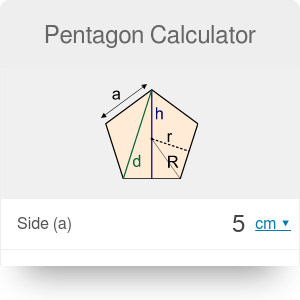 With this pentagon calculator, you'll find essential properties of a regular pentagon: side, diagonal, height, perimeter, and area, as well as the circumcircle and incircle radius. Type any value, and the remaining parameters will be calculated on the spot. If you are not sure what is a pentagon or how many sides does a pentagon have, keep scrolling and you'll find clarifying pictures with a short explanation. Pentagon is a 5-sided polygon. 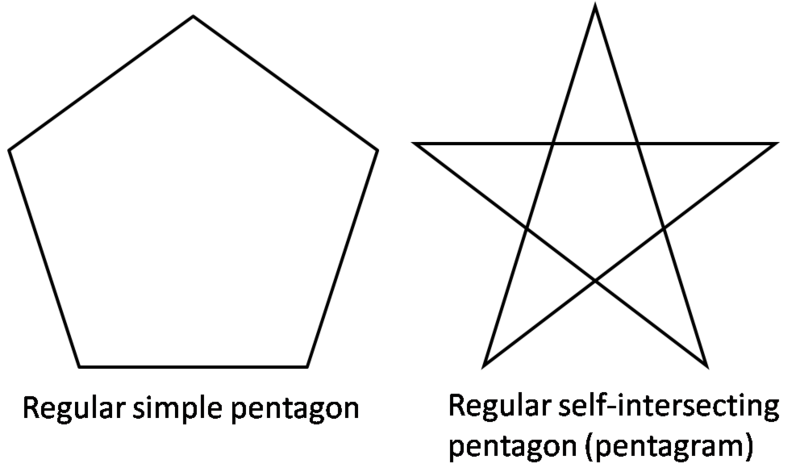 Pentagon can be simple or self-intersecting. The sum of the internal angles in a simple pentagon is 540°, so every internal angle is equal to 108°. Regular simple pentagon has all five sides equal in length. 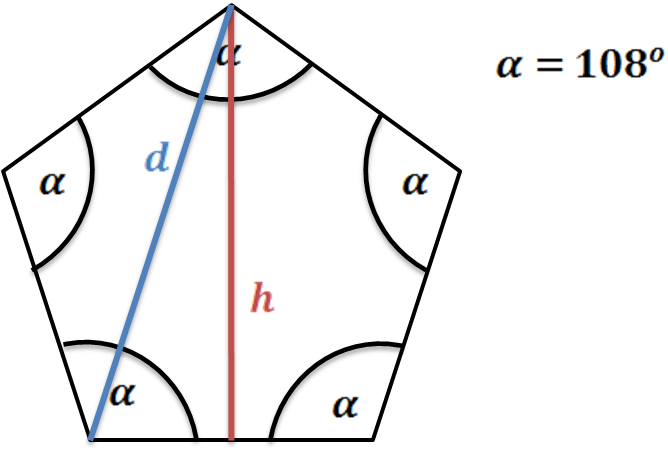 (In this article, we use the term "regular pentagon" to describe a regular simple pentagon). 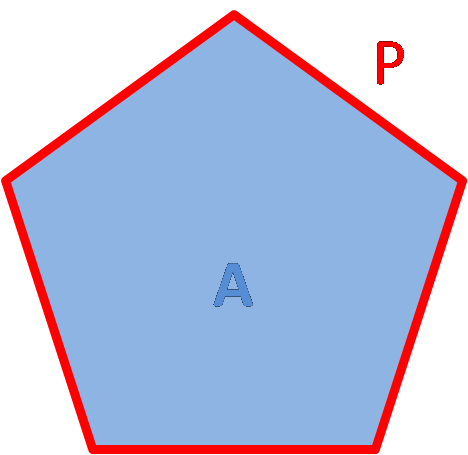 area = a² * √(25 + 10√5) / 4, where a is a side of a regular pentagon. area = 5 * r² * √[(5 + √5)/2] / 4, where r is an incircle radius. Pentagon has five diagonals equal in length, which form a pentagram. Find out what is given. For a regular pentagon, one parameter is enough to find the remaining six. Type the value into pentagon calculator. Let's take the most famous almost regular pentagon as an example - the Pentagon building, headquarters of the US Department of Defense. From the Wikipedia page we find out that it's 1414 ft wide - it's the height of the pentagram. Did you notice how enormous it is? Have a look on the perimeter - it's almost a mile! In reality, each side of the building is ~921 feet long - looks like it's practically a regular pentagon! Pentagon Calculator can be embedded on your website to enrich the content you wrote and make it easier for your visitors to understand your message.